The second edition of the 353-pages book (ISBN 978-1-4471-5612-3) is available as eBook (79,72 €) or hardcover version (101,64 €). The publisher, Wolfhard Lawrenz, and the 30 sub-editors have completely revised and updated the first edition (1997). The content of the book includes a general introduction into the CAN physical layer and the CAN data link layer protocol. One chapter is dedicated on implementations describing the differences of the CAN modules available on the market. There is also one chapter discussing the testing of the CAN controllers. The other parts of the book are related to applications and higher-layer protocols including CANopen, Autosar, diagnostic protocols (ISO 15765), SAE J1939, and CAN Kingdom. As the German version of the book (published by VDE), this publication is a collection of articles. Nevertheless, it provides valuable information, which can't be found in other books. 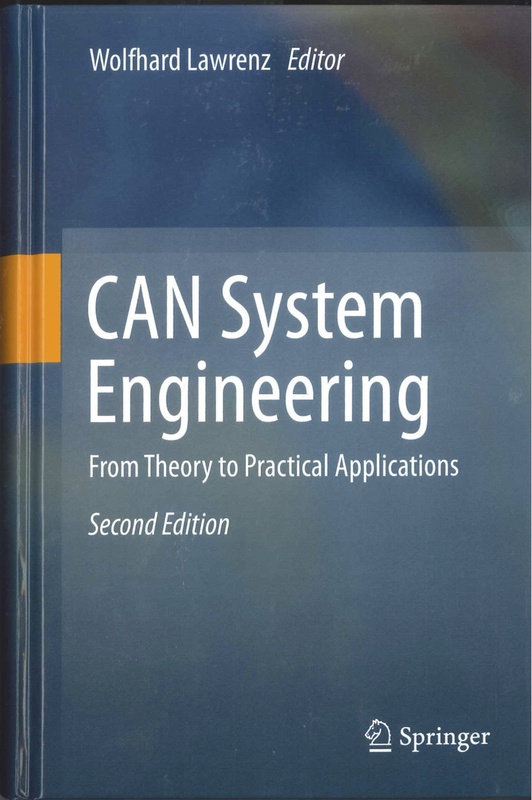 Even if the reader is sometimes lost in details, the book gives an excellent overview on the challenges and solutions to design a CAN network. In particular, the information about the physical layer design are interesting.